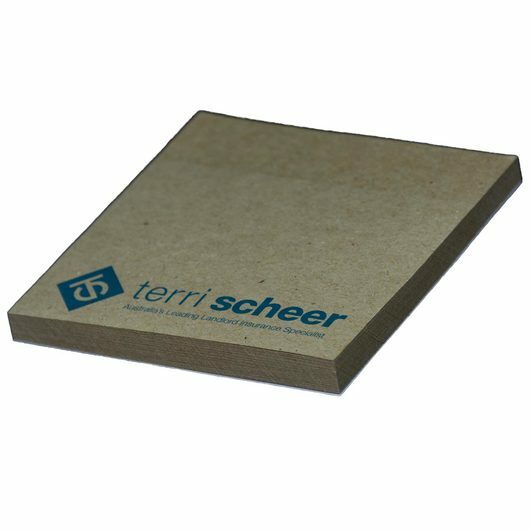 Made from recycled paper to reduce your carbon footprint, promote with recycled post it notes today! The environmentally friendly choice that doesn't sacrifice on quality! These post it notes are a crowd favourite due to their favourable Eco impact and high impact marketing effectiveness. The pricing you see on this page is for a 50 leaf pad but we also offer 25 or 100 leaves (price on request) To encourage you to go recycled we offer a special deal on these!